In this article, a Tampa family attorney explains the sources and uses of such financial records as balance sheets in the evaluation and division of the marital estate. A balance sheet may be made available to your Tampa family attorney from any of the following sources. • Disclosure statements. Your Tampa family lawyer will apply various types of value standards to marital disclosure statements for purposes of valuing the marital estate. • Applications for loans. As with personal financial statements, loan applications are valued using “fair market value,” which is the standard used by the entities lending the money. Your Tampa family attorney has provided more in-depth explanations in the paragraphs below. Additional information is available upon request. 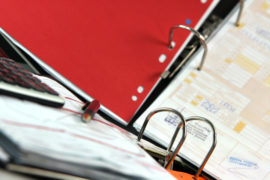 Financial statements may be developed for a variety of reasons. Commonly, they are required by a lender when submitting a loan application. Your Tampa family lawyer will also need these in valuing the marital estate. In cases in which a couple is involved in a joint venture, personal financial statements will have been submitted from each partner to be certain that they had sufficient funds to start the venture and that the risk was acceptable. Your Tampa family attorney can analyze these statements in a manner similar to the analysis of a loan application. The information on a business tax return balance sheet may be too short to be very helpful in the valuation of the marital estate. These documents, based on book value, are abbreviated forms of the business’s financial statements and may only list assets and liabilities. Still, if the balance sheets reflect an extraordinary level of variation in these categories, your Tampa family lawyer may require additional detail concerning those fluctuations. If you have questions or require assistance, don’t hesitate to contact your Tampa family attorney by calling the Legal Advocate Group P.A. at (813) 304-8447 today.